This book explores why the hypothesis of the sasquatch as an existing North American mammal has been treated as an unwelcome and dissenting view. Despite physical evidence, the subject has been categorized as pseudoscience and viewed as scientifically taboo. Comprehensively written, with supporting drawings, photographs and maps, the book illustrates and corrects a number of misconceptions regarding the discovery process, especially as it applies to the discovery claim. 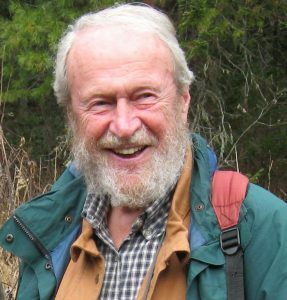 As a wildlife biologist, I have been studying the sasquatch (or bigfoot) for just over 50 years. For the past 25 years, the main subject of my wildlife research has been the scrutiny of evidence which appears to affirm the sasquatch as an existing mammal. During this period, I found this evidence to be not only compelling, but eventually conclusive in supporting the sasquatch as an existing North American mammal. As a scientist at the PhD level, I am one of a very small minority of such credentialed scientists undertaking sasquatch research. My perspective, however, is that of one of many participants in the unfolding discovery. Long before now, the sasquatch has become considered by many of us to be a discovered mammal species, but one whose discovery remains to be acknowledged—or even considered—by relevant scientists in the larger scientific community. This website is about the sasquatch in that it summarizes much of what investigators already know about sasquatch anatomical features, elements of its behavior, and even aspects of its ecology. It is intended to be informative and to contribute to a more informed level of conversation about this subject. In this regard, it is also intended to inform interested readers about my two books on the subject. The first, subtitled, A wildlife biologist examines the continent's most misunderstood large mammal, was published in 1998. It summarizes and illustrates much of what was already known at that time about sasquatch anatomical features, elements of behavior, and ecology . 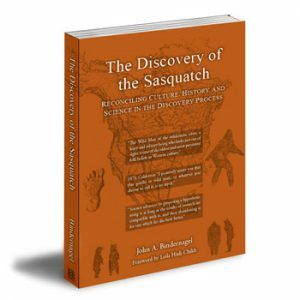 The second, The Discovery of the Sasquatch: Reconciling History, Culture and Science in the Discovery Process, was published in 2010 more fully illustrates the supporting evidence and offers greater interpretation. More importantly, it explores reasons for the unwillingness of relevant scientists to consider the discovery claim or to scrutinize the evidence supporting it. This book was the result of a 7-year-long effort to address the problem created by the first book: describing the anatomy, behavior, and ecology of a mammal species not yet acknowledged as having been discovered. This site is intended to reassure sasquatch eyewitnesses, scientifically-minded readers, and amateur investigators that science has not completely failed to take note of this unfolding scientific discovery, or to devote scientific attention to it. Examples of evidence are presented and illustrated here for consideration and scrutiny. In addition, the site is also directed at scientific colleagues, assuring them that at least a handful of scientists are actively participating in this unfolding discovery. This situation is somewhat unique—even bizzarre—in that my scientific colleagues have yet to express gratitude for the participation of a few of us in the discovery process in their absence, an absence perceived as inexplicable to interested members of the public. Neither has there yet been any noticeble indication that relevant scientists are about to begin contributing their considerable expertise and knowledge to a significant zoological and anthropological discovery which continues to unfold without their participation. This situation is, of course, a direct result of the sasquatch having been perceived as a far-fetched discovery claim and consequently treated as a scientifically-taboo subject and as merely a subject of entertainment by the very scientists qualified to shed light on the evidence and to contribute to the discovery process.